New studies rank the United States as 27th overall for their investment in healthcare, yet our healthcare costs are among the most expensive in the world. The US population is expected to grow nearly 11% by 2030, with those over 65 increasing by 50%. As our population grows older, the healthcare system continues to be strained even more. Costs skyrocketed over 574 billion dollars from 1996 to 2013 and researchers estimate this trend to continue in the coming years. In order to combat skyrocketing costs, we must look for alternative ways to deliver care. Although there are many areas where access to a pharmacy and pharmacists is challenging, NACDS has found that nearly all Americans live within 5 miles of a pharmacy. Maintaining or improving upon the existing pharmacy network is critical to ensure proper patient adherence to their medication regimen, leading to improved patient outcomes. Patients see their pharmacist more than any other provider (close to 35 face-to-face interactions per year), making them one of the most (if not the most) accessible health professionals. The opportunities for pharmacists to help bridge the current gaps in care are endless, especially as prescription nonadherence is quoted by some companies to be a 500 billion dollar problem. Take Traztuzumab for example; a medication designed to target breast cancer. Traztuzumab only targets the HER2 gene expression. If you don’t express HER2, the therapy simply won’t work. Administering the therapy in those without HER2 only wastes time and money. As a result, pharmacists are stepping in and utilizing pharmacogenomics to test whether or not the patient expresses the HER2 gene. This simple test can help avoid wasted costs and unnecessary disease progression. Pharmacogenomic testing used to be quite expensive but it is now becoming readily available and affordable. In fact, 3 out of 4 economic studies show that pharmacogenomic testing is overwhelmingly cost effective (and 1 out of 1 authors of this blog agree). By utilizing pharmacogenomics, pharmacists, the drug experts, are able to perform patient-specific drug selection to improve outcomes and decrease medication side effects. Pharmacists are seeing an opportunity to fill a critical role in the safe dispensing of medical cannabis. Medical cannabis use has now been approved for use in 30 states. Yet most people don’t know that cannabis can interact with various metabolic pathways; specifically Cytochrome P-450 3A4 (3A4.) While that may sound like the name of a robot in a car-assembly line, it is actually a major metabolic pathway for the break-down of drugs, including the second most prescribed drug in the world; atorvastatin. Over 93 million prescriptions were filled for atorvastatin in 2015 alone, and studies have shown that interactions between atorvastatin and cannabis could lead to increased risk of liver damage. Many other drugs also are metabolized through the same pathways as cannabis. Even more dangerous is clopidogrel, which is used to prevent blood clots. A potential interaction here could be life-threatening. Decreased efficacy of clopidogrel could lead to an increased risk of blood clots. Additionally, cannabis is known to have short-term side effects such as rapid heart rate and hypertension. At the time of this article, cannabis is still illegal at the Federal level and there is a potential risk to pharmacists to dispense the drug. However, pharmacists are perhaps best positioned to dispense medical cannabis. Pharmacists have the knowledge to determine appropriate dosage and formulation and can counsel patients on potential interactions with their prescribed medications; both of which are essential to ensure the safe dispensing of medical cannabis. According to the US census, 60 million people in rural areas and millions more in urban communities are living in medically underserved areas or pharmacy deserts (read our post on pharmacy deserts here). This means that the people in these communities lack convenient access to pharmacies, clinics and other healthcare providers. Telepharmacy makes it possible for residents of these underserved areas to gain convenient access to both their prescription medications and a trusted healthcare professional. A retail telepharmacy, or remote-dispensing site, operates exactly like a traditional pharmacy except instead of standing next to the technician, the pharmacist supervises the technician from an alternative location. The pharmacist reviews all prescriptions and counsels patients, just like in a traditional pharmacy, using HIPAA-secure audio and video technology. Telepharmacy allows you to provide pharmacy services and access to a pharmacist in locations in which it was previously not viable (think overnight coverage at clinics, access to areas with language barriers, HIV clinics, behavioral health clinics, and even in homeless shelters). Medication adherence and patient outcomes improve with convenient access to pharmacies and pharmacists. And when pharmacists are able to act as clinical care providers, patients (namely those in underserved areas) are able to begin treatment right away. The United States in estimating a shortage of over 31,000 primary care doctors by 2025. To make matters worse, studies estimate a shortage of up to 120,000 physicians by 2030, and the American Academy of Family Physicians showed the number of students entering primary care had dropped more than 50%. This shortage of providers is leading to longer wait times to see a provider for conditions which, if treated quickly, can be easily resolved. Any delays in treatment can result in an increase of both the severity of the original disease and costs of treatment (think of the difference in treating an uncomplicated Urinary Tract Infection vs a complicated Urinary Tract Infection). Prescriptive authority for pharmacists works in many different ways and varies from state to state. Some states require a collaborative practice agreement, while others (like Idaho) allow pharmacists to test and treat patients for certain conditions without physician supervision. While practice style differs, the results are the same: improved access to care and outcomes. Last winter the CDC reported that the flu broke records and killed more than 80,000 people. Without prescriptive authority, if a patient feels like they may have the flu they need to make an appointment to see their doctor. Once a diagnosis is made the doctor can prescribe medication and the patient must then pick up the prescription at the pharmacy. Alternatively, under a collaborative practice agreement, a patient could go directly to the pharmacy and receive a CLIA-waived test. The CLIA-waived test is designed to take care of the diagnosis and, if the diagnosis is positive, the pharmacist can prescribe medication, such as Tamiflu, based on a protocol. Early treatment and diagnosis by the pharmacist would reduce the severity and duration of the illness, prevent potential spreading, and decrease overall costs to our healthcare system. 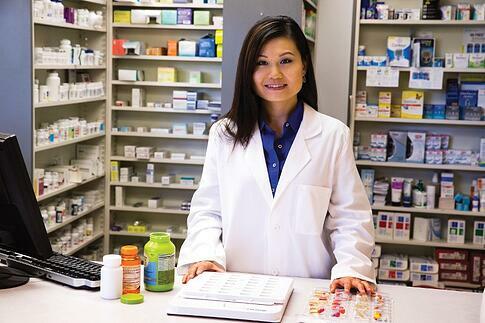 While healthcare costs are rising, overall, it is an exciting time to be a pharmacist. As a key member of the healthcare team, pharmacists are well positioned to take on expanded roles. Pharmacist involvement in pharmacogenomic testing, medical cannabis, telepharmacy, and prescribing for patients are just a few of the many areas in which pharmacists can provide improved outcomes and reduce our overall healthcare burden.